Bambari – Grace* is one of 22 young women who are learning to sew at the Jesuit Refugee Service (JRS) Bambari training centre, where needlework, literacy, soap making, and other income-generating activities are offered along with regular psychosocial support. The programme began in 2016, with the main objective of empowering young people, especially vulnerable girls, to become independent and integrated in their communities. 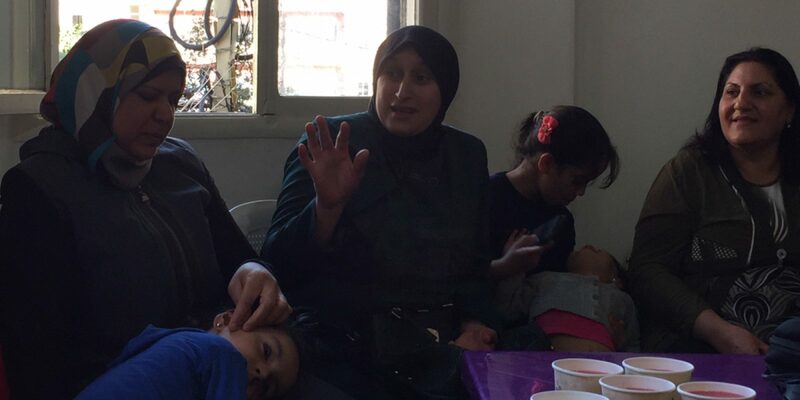 The activities also help heal the wounds they have suffered from conflict. I was 13 years old when the war broke out in our village. They killed my father and my mother in front of me. It hurt so much that I decided to join the armed group. In armed groups, some girls are subjected to sexual violence or domestic work like cooking, cleaning, or caring for the wounded. Grace, however, was used as a fighting soldier. 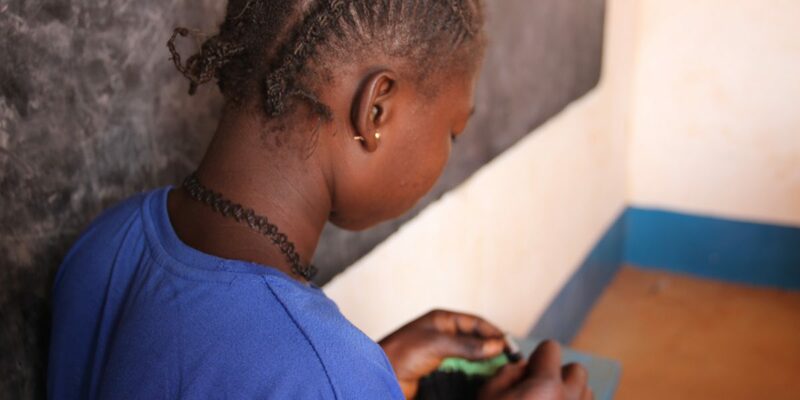 When asked why she was there, she said, “I was doing the same thing to people as they did to my parents.” After leaving the armed group, Grace joined the JRS sewing programme. She is currently finishing her training and will be graduating soon. She will be able to sew clothes and sell them at the market, generating income that will allow her to live. Thanks to the programme, I decided to give up [fighting] and learn a trade. Since I am in training I have forgiven and tried to follow a better path. This programme works to restore basic social services, education, and protection for children affected by violence and conflict in the Central African Republic. JRS, in partnership with Entreculturas, is changing the lives of hundreds of children like Grace. A girl's place is in school.